This summer, I have been working to create small gardens around the parking lots in our apartment complex. 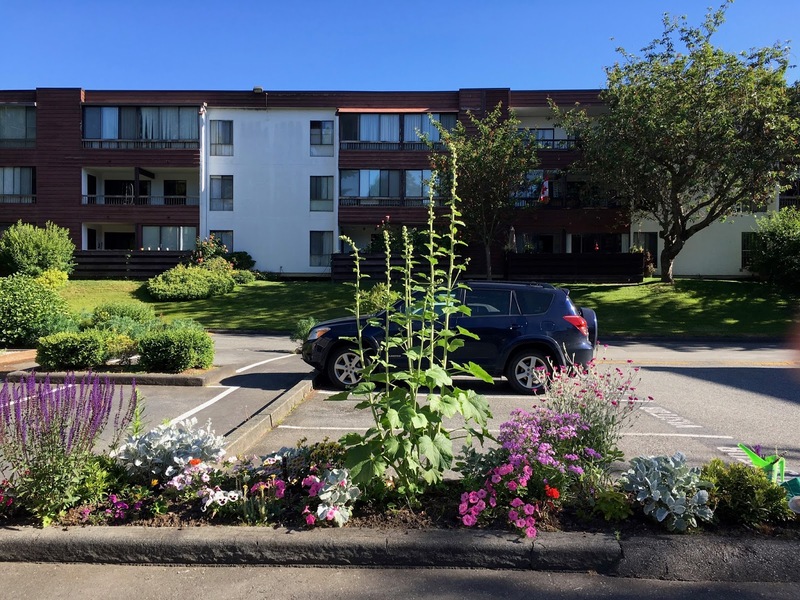 Our complex is comprised of several acres with many large fir trees, rhododendrons, and hydrangea bushes. The landscapers are busy cutting lawns, trimming bushes and replacing retaining walls so much of the smaller areas have been neglected. are unable to carry on gardening and structural repairs to the buildings have curtailed the budget for the gardeners. I have been buying my own plants and hope to be able to divide them in the spring. We have a green house on the property so seeds are another possibility. complex. Strangers stop to speak to me as I work. After the disappearance of some plants that I had purchased, an anonymous neighbour left some money under my door. He/she wanted to help to replace the missing plants. When I worked as a teacher-librarian, my favourite story was Miss Rumphius by Barbara Cooney. I even did a presentation on "the library as a garden" for one of my Library Education classes. Think of the library as a place where there is a book to be "picked" by everyone or a quiet place to be enjoyed by all. The days are getting noticeably shorter now and the hollyhock flowers have mostly dropped but the sedums are turning red and I planted some hardy chrysanthemums to welcome the cooler weather. I spy a few new books too so I will take note of those titles. Miss Rumphius was a favourite of mine too. Thank you. I find that flowers are a pleasure for most people. I always enjoy looking at your rose photos. This summer, I tried a different approach to book selection. I used a keyword search "garden" at the library and put in lots of reserves. Some books were interesting, others not so much. Have you read The Little Coffee Shop of Kabul? Someone loaned it to me and I'm quite enjoying it. Happy reading and gardening! What a wonderful thing you are doing, just like Miss Rumphius. You are creating beauty and community. 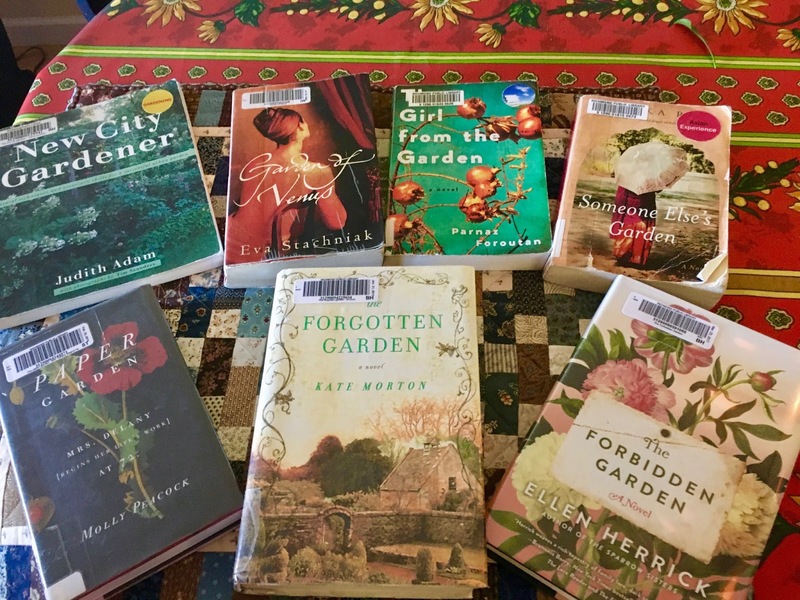 I like your gardening book theme - I've read The Forgotten Garden, and have the New City Gardener, but the others will be fun to look up.